Nestled along the banks of the Delaware River is the scenic city of Lambertville, New Jersey. 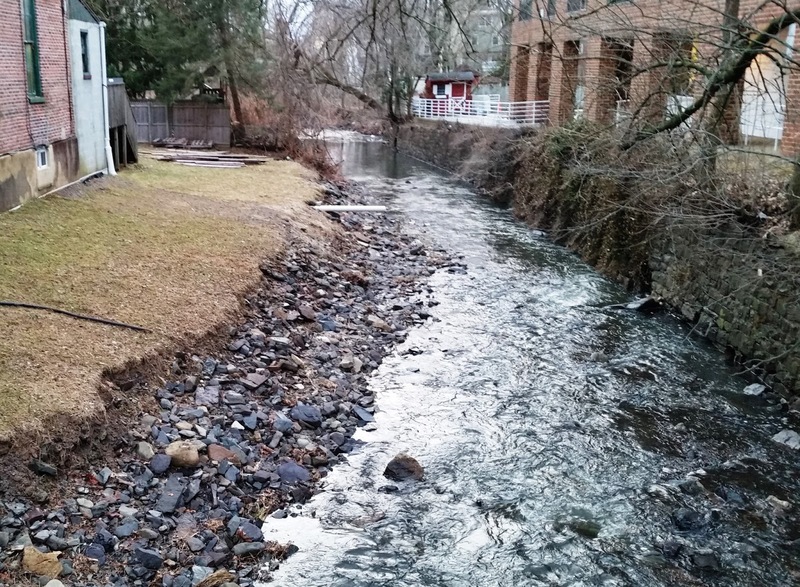 Despite being named by Forbes as "one of the prettiest small towns in America,"it's often overlooked by vacationers who are dazzled by the neighboring artisan enclave of New Hope, Pennsylvania, which is located just across the the bridge. Founded in 1705, the gem of a town offers practically everything New Hope touts, from boutique shops, to art galleries and restaurants. Comparing the two, I'd describe Lambertville as "less hippy, more relaxed." I'd be remiss if I failed to mention that it's also quieter. The motorcyclists have yet to figure out that there are cool places just right across the bridge and I'd like to keep it that way. And before anyone casts aspersions on my age due to that remark, I have only one thing to say: "Get off my lawn!" But as I was saying, there are many reasons to visit Lambertville, not the least of which is its uniqueness. 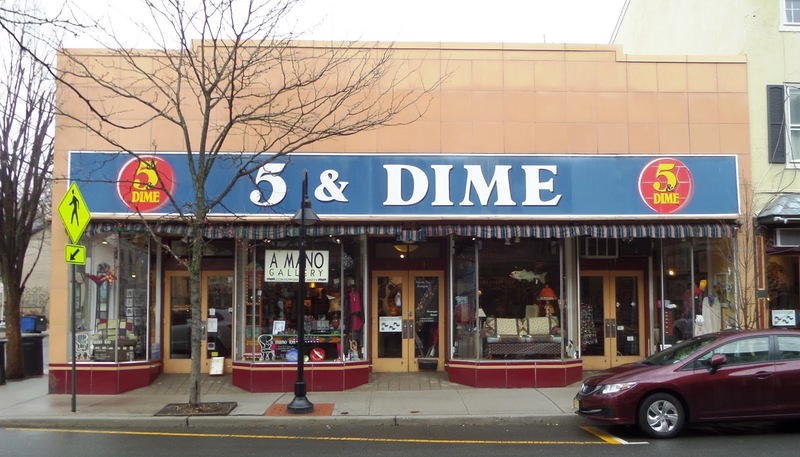 In addition to being named one of the prettiest small towns in 2013, the area was also ranked one of the five "quirkiest" towns--a distinction bestowed in 2014 by Travel & Leisure magazine. Visitors will encounter old and interesting sites while strolling around town. 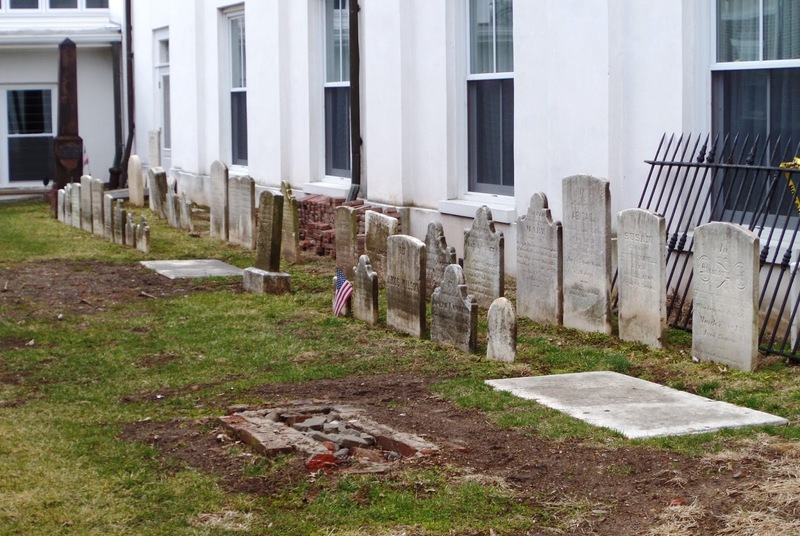 As a first order of business Melanie Tucker, owner of "Rare Finds Travel," recommends scheduling a free walking tour hosted by the Lambertville Historical Society. 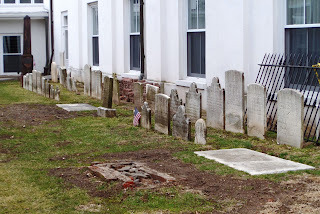 Presbyterian Cemetery spotted along the street. Holcombe and Coryell monuments. 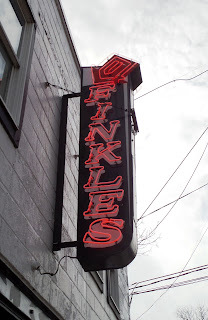 Finkle's Hardware Store--serving Lambertville since 1917. "On the tour, visitors will see things like the Cowin Stone mansion built by the mayor of Lambertville and the owner of Stoneworks. He engaged Italian stone makers to hand cut each stone on site. 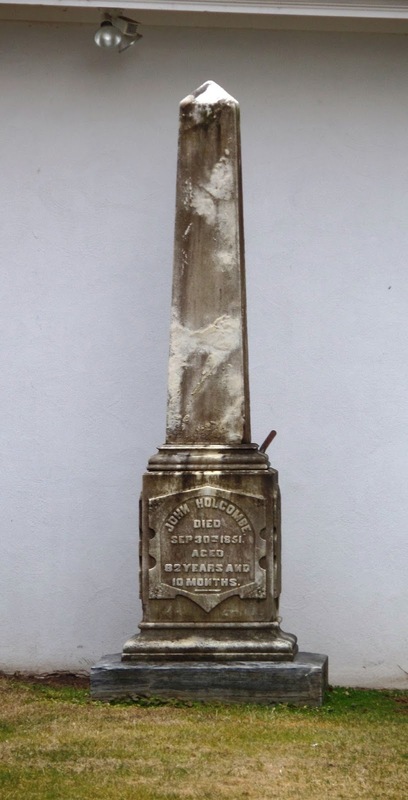 Guests will also learn about another homeowner who operated a spoke factory and went on to become wealthy due to the Civil War," said Tucker, adding, "Lambertville provided many of the spokes that were affixed to the caissons that carried the cannons for the Union Army." The hour-long tours start at 2:00 p.m. and are offered on the first Sunday of the month from April through November. Learn more here. 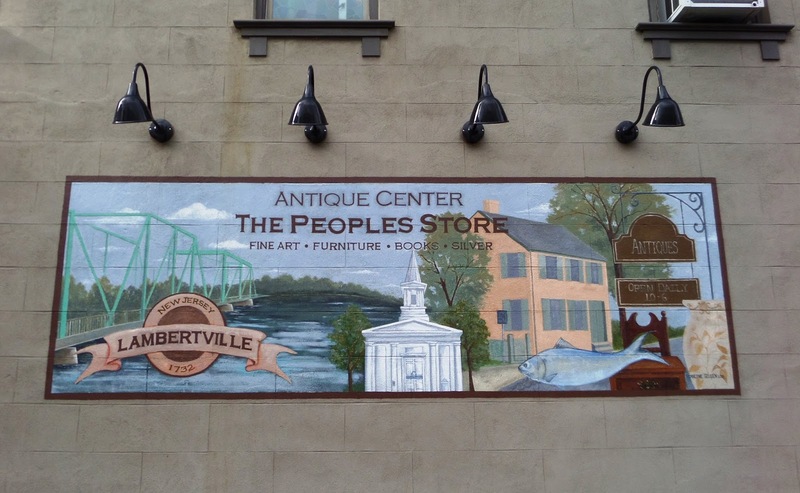 Lambertville is known for its collection of art, a reputation that has continued for over a century when an artist colony was formed there. Behold the bold, colorful paintings of artist Tony La Salle at his gallery at the corner of Bridge and Main, discover unique pieces at The River Queen Artisans' Gallery on Church, or set aside some time to stroll through Jim's of Lambertville to view a remarkable collection of impressionist paintings. If you're a fan of old, re-purposed buildings, you'll also enjoy A Mano Galleries, where you'll find a variety of artwork, including one-of-a-kind gifts and sculptures like the one shown below. 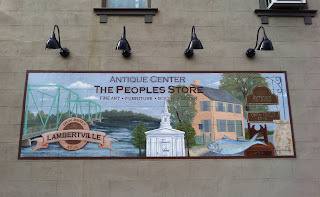 "The Antique Capital of New Jersey"
Also known as the "antique capital of New Jersey," Lambertville is home to myriad antique shops, including The People's Store. Those who are passionate about all things old can get lost in the four-story building which dates back to 1835. Treasure hunters will enjoy inspecting every nook and cranny of the place which houses a collection of items from scores of dealers. 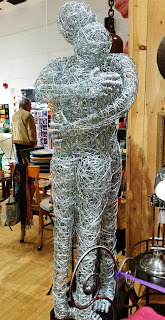 Among the eclectic array you'll find furnishings, art, period clothing, jewelry and more. Restaurants are plentiful and appeal to a variety of tastes. Jump start your morning with a great cuppa Jo at Rojo's Roastery, a business which specializes in roasting beans procured from small farms across the globe. For an indulgent lunch, step inside an old train station and enjoy American cuisine at the Lambertville Station Restaurant. 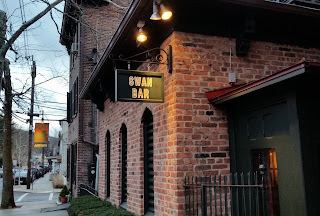 Situated along the banks of the Delaware, the eatery offers scenic views and a menu to suit a variety of tastes. Those who prefer to "grab and go" can enjoy the signature Italian Roast Pork served at DiNapoli's restaurant on Kline's court. 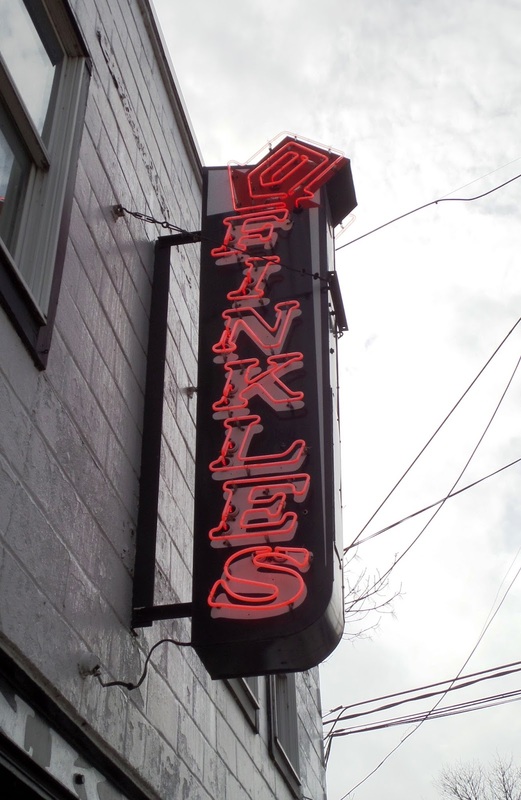 You may recognize the name from the Reading Terminal Market where they've been a fixture for years. For dinner, I can't say enough about Anton's at the Swan, which marries old-school atmosphere with upscale dining. The low-lit and elegantly appointed dining room make it a perfect place to take your date. 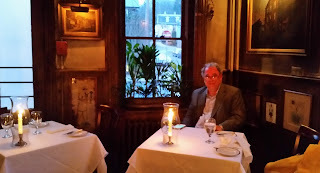 When we visited, quite a few couples were enjoying the romantic atmosphere. The farm-to-table cuisine is handled expertly by Chef Chris Connors and the menu changes seasonally. 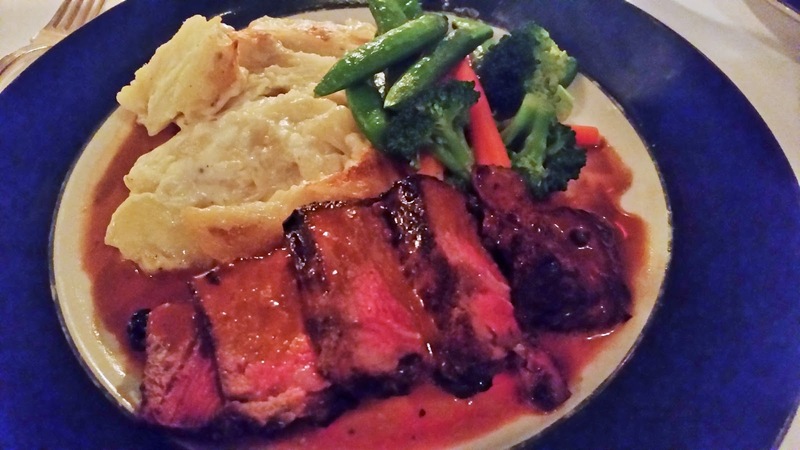 Current selections include New York Strip, chicken breast, pan-roasted duck, filet of beef and red snapper, to name a few. My filet was done to perfection and my husband thoroughly enjoyed his duck as well. 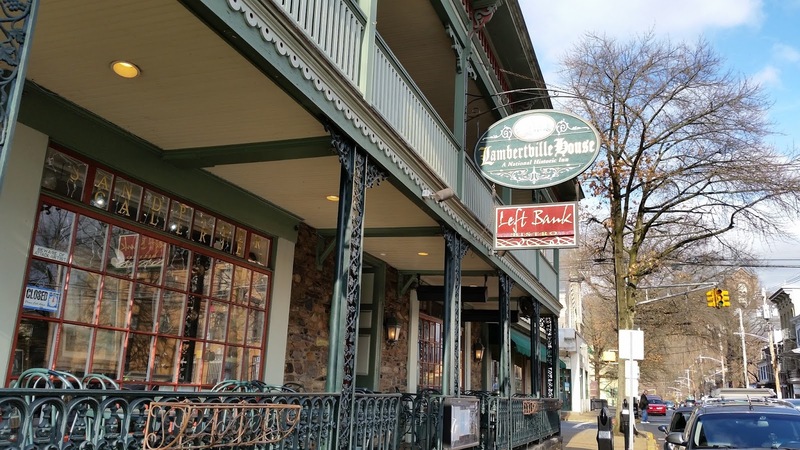 For convenience, we chose to stay at the Lambertville House . Built by Captain John Lambert in 1812, the business initially operated as Lambert's Inn--a stagecoach stop that provided lodging for U.S. presidents, including Andrew Johnson and Ulysses S. Grant. The Inn also offered respite for visiting dignitaries and business leaders who traveled the main thoroughfare from New York to Philadelphia. The historic hotel has been awarded the AAA Award of Excellence for the past 15 years and each room contains a fireplace, robes and jetted tubs. The only complaint we had during our visit is that we were forced to park off the property during part of our stay due to a corporate event. Parking is extremely limited,so be sure to query in advance. 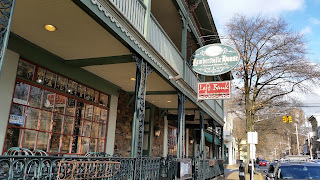 These are just a few of my suggestions for an enjoyable stay in Lambertville and now is a great time of year to visit the laid-back little town that seems to offer a little something for everyone.